Even though yellow lights are an international sign to slow down, who among us hasn't made a bold push through a yellow to avoid getting stuck at an intersection? While unsafe, it happens — often without consequences. But if you've made it a habit, you may be familiar with the awful feeling of seeing a flash out of the corner of your eye as you think you beat the red light. And just like that, you have a ticket from a red-light camera. Red-light cameras can be a point of contention between local governments and drivers when thought of as a means of revenue instead of safety, as the former is often accused of doing. Sometimes, the criticism seems fair; in 2014, for example, Chicago had the U.S.'s largest red-light system paired with the shortest allowable yellow lights, a recipe both for red-light violations and rear-end collisions resulting when motorists try to avoid the devices. According to the AAA Foundation for Traffic Safety, 92.9 percent of drivers viewed driving through a stoplight that has just turned red as unacceptable behavior. Even so, 42.7 percent of drivers admitted to having done just that in the past 30 days. When it comes down to it, running a red light is dangerous. According to the Insurance Institute for Highway Safety, more than 800 people died in crashes involving red-light running in 2016. 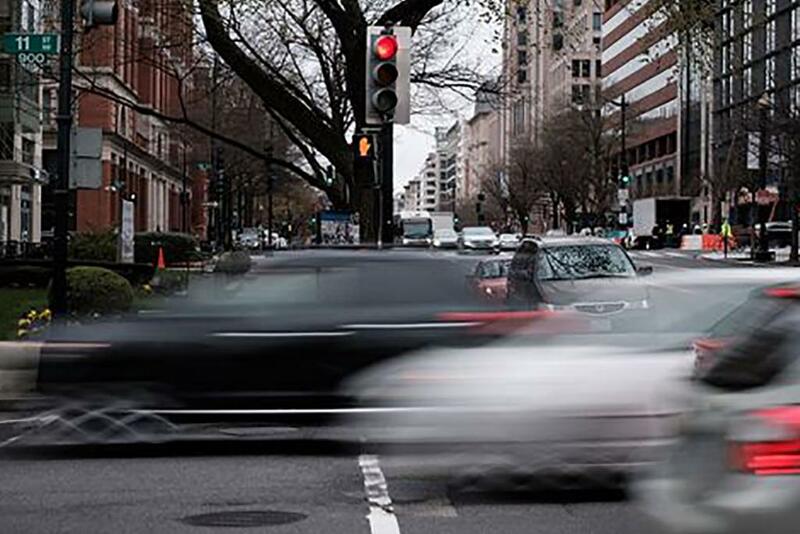 More than half the people killed in red-light-running crashes are pedestrians, bicyclists and people in other vehicles hit by the signal violators. So, do red-light cameras reduce violations, and more importantly, crashes? The simple answer is yes. IIHS studies found that the introduction of red-light cameras reduced violations by about 40 percent. The institute also found that when comparing large cities with the cameras to those without, the cameras reduced red-light-running crash fatalities by 21 percent. "Red-light cameras can play a role in improving traffic safety for all road users and should be placed where they can benefit a community, like at intersections with high numbers of fatalities," said Jill Ingrassia, managing director of Government Relations and Traffic Safety Advocacy for AAA, in a statement. "When properly implemented, red-light cameras can help save lives and can serve to supplement law enforcement efforts, rather than generate revenue for governments." The number of cities with red-light camera programs has been in decline while red-light-running deaths have increased. As of July, according to IIHS, 421 communities had red-light camera programs, down from 533 in 2012. Deaths in red-light-running crashes have increased by 17 percent since then. However, red-light cameras are not the only reason for the increases in crashes and fatalities. Economic recovery in the past few years, leading to more cars on the road, is another factor. But the correlation between red-light cameras and crashes is strong. "We developed the guidelines to help communities avoid the problems that have undermined programs in the past," IIHS President David Harkey said in a statement. "We know turning off cameras results in more crashes, injuries and deaths, so it's important that camera programs succeed."